Training Plants with trellis netting. 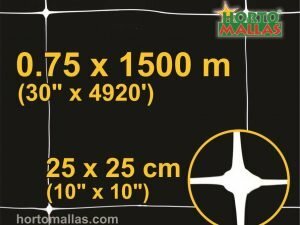 Training plants with vegetables: HORTOMALLAS will be the most advantageous activity in your fields. 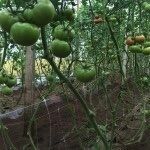 Farmers are always striving to increase their crop results while hopefully reducing the overall production costs of each cycle, and training plants will be the ideal aid to achieve both goals, as a good trellising system increases yield and lowers costs. 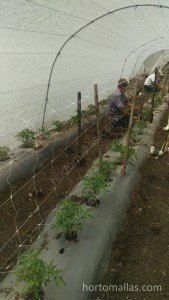 Training plants from the early stages of growth with HORTOMALLAS trellising net will produce great economic results. 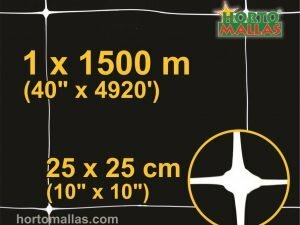 How does training plants with HORTOMALLAS trellis netting increase crop yield. Many times he hear the concept of training plants and we immediately have an imaginary visual of some gym instructor giving tomatoes and beans a lesson! Tomatoes, peppers or eggplants require induced trellising (some indeterminate cucumber varieties also need training as the varieties have a weaker self-vining system) and branch pruning in order to reach the desired heights and position of the plant along the furrow, during pruning the grower will decide who many branches and leaves will be producing in order to maximize output, but pruning alone does not do the trick if the plant does not have a good support system to fasten the chosen branches. 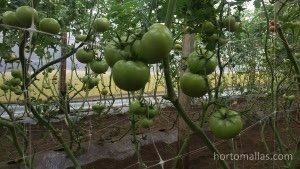 Trellising the plant correctly will allow better air flow and therefore less mildew and other humidity related pathogens, it will increase sunlight exposure, will allow better flowering and induce better pollination. A better trellised plant will be able to bare more and larger fruits, and this ultimately converts into more money for the grower. The double wall system of training peppers with HORTOMALLAS offers many phytosanitary advantages. From a horticultural point of view trellising also reduces the mechanical spread of diseases, especially when using a double wall system of training with HORTOMALLAS since the plant is trained in between two nets, eliminating the need to touch it with the hands of the workers as these become most of the times a vector for diseases (all it takes is one sick plant to come in touch with a worker and the damage becomes exponential. Also eliminating the constant handling necessary in training solonaceae and cucurbitaceae one reduces the mechanical stress of the plants, therefore allowing the plant to produce fruit weight constantly rather than spending its resources in re-accommodating itself towards the sun. 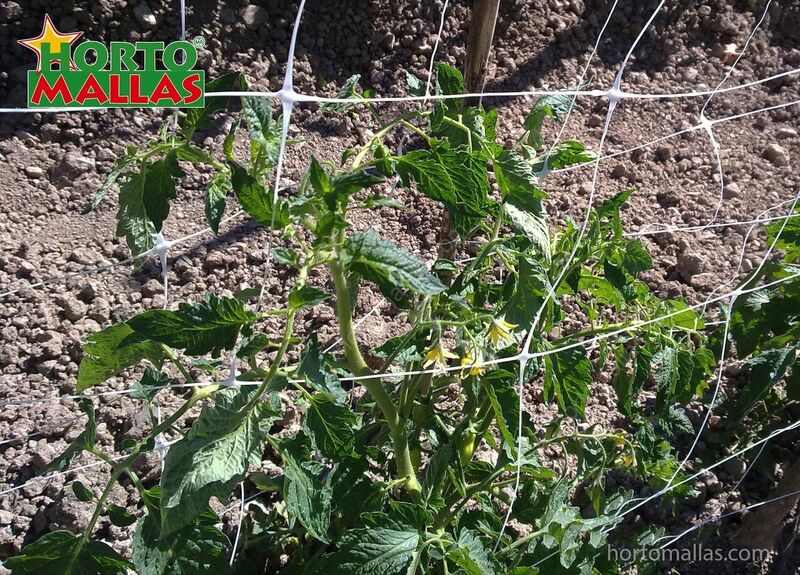 Training Tomatoes with HORTOMALLAS trellis netting will yield to better crop results. 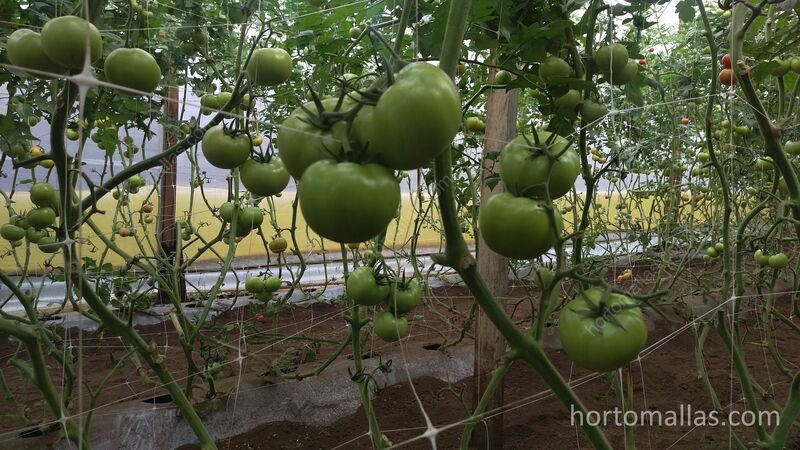 How does training plants with HORTOMALLAS trellis netting reduce operational crop costs. 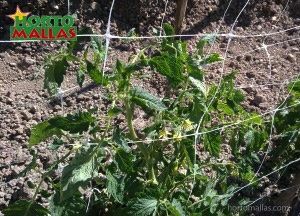 Trellising will also conduce to substantial savings in many aspects of the field´s management. Labor is an immediately noticeable point. 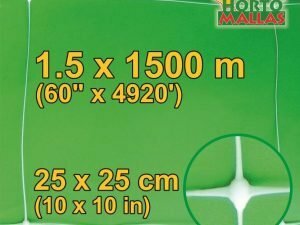 Trellising plants with HORTOMALLAS will reduce the amount of man hours needed to install the training trellis net by about 75%. The increased productivity in workers will be added then to the decreased costs of applying and fumigating agrochemicals as the plants will be less prone to diseases for the reasons expressed above. 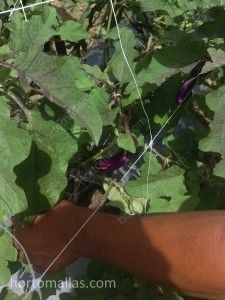 Training eggplants with HORTOMALLAS allows better handling of the plant during pruning and harvesting thanks to the large mesh size of this trellis net.